I was really looking forward to my first full listen of Linkin Park’s much celebrated debut album, I have always been a casual fan of the group, their singles making up the soundtrack to so many of my nights out growing up as well as obviously being a huge fan of the Collision Course EP with Jay-Z; everyone I knew felt some connection to this band. My first listen ending up being spurred on by the sudden and tragic death of lead singer Chester Bennington, making me wish more than any other record in this series that I hadn’t waited so long. Hybrid Theory is an album that is so of its time that as soon as the crash of opener Papercut starts you are transported straight back to the early 2000s. It’s punk meets metal meets hip hop meets massive pop hooks and it revels in its own commercialism in the same way that the likes of Metallica did a decade earlier. A track like With You sums up Hybrid Theory perfectly, Chester Bennington’s scratchy but powerful vocal layered over thrashing drums, layered further over drum machine loops and hip-hop bass. It’s the way that Mike Shinoda’s spoken rapping cuts in for the hook that pushes tracks like this into uncharted territory though, it’s a true hybrid of genres and sound that just works. It’s a sound that is totally their own too, which makes this debut so much more impressive. 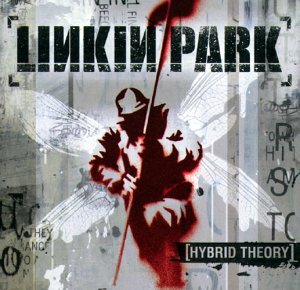 Hybrid Theory is at its best when it sticks to this formula on the likes of One Step Closer and the terrific Points of Authority which ends up sounding like an award show collaboration between two of the industry’s genre heavyweights. In The End is the best example of the honest depiction of life that Hybrid’s Theory aims for, tracks like this and the also excellent Crawling see Chester Bennington delivering some of the best vocal performances on the album and hitting the listener with gut-wrenching honesty throughout. Hybrid Theory is relentless in its attempts to take over the listener and at just 37 minutes long this manages to work in the band’s favour. It’s insanely loud and often crazed at times, but this allows for moments like Crawling and A Place In My Head to hit harder thanks to the moments where the guitars suddenly disperse. Outside of the strange 90s dance DJ set moment of Cure For The Itch, every track here is brilliant because of its contrasting sonic aesthetic. Bennington consistently sounds amazing and the common motif of a sustained note from him as Shinoda raps underneath works every single time. Closer Pushing Me Away rounds this up perfectly for me and manages to bring the album right back around to that initial early promise. Linkin Park worked on their sound for years and you could hear it on Hybrid Theory, a debut record that would go on to be the shining example of one of the sounds of the decade to follow. It was my first full listen, but it’s such an accessible record that it truly felt like I’d had this on repeat for the last 15 years. Best Track: There’s a few to choose from here, In The End is arguably the strongest hook on the record, while Crawling or Pushing Me Away are probably the strongest vocal moments on the album. I’ve opted for Points of Authority here though, that is such a huge statement record that it was a definite high point for me. Tags: Hybrid Theory, Linkin Park, The World's Greatest Hits. Bookmark the permalink.